You are here: Home / Privacy Guides / Is Your Antivirus Software Spying on You? It goes without saying that reliable antivirus software plays a crucial role in IT security. As malware continues to become more sophisticated and prolific (more than 350,000 malware samples are released every single day), home users and business owners alike need to have protection in place to stop these modern digital threats. However, antivirus products are not immune to privacy problems. While the antivirus industry is ostensibly on the side of good, many antivirus products behave in a way that infringes on users’ privacy. Whether they intercept web traffic, sell browser history data, or allow backdoor access to government agencies, many antivirus products are guilty of jeopardizing the very thing they are designed to protect: your data. Here are four ways antivirus software may interfere with your privacy. To provide you with the protection you need to keep your system safe, your antivirus software needs to know a lot about you. It keeps an eye on the programs you open to ensure you’re not accidentally executing malicious software, and it monitors your web traffic to stop you accessing dodgy websites that might try to steal your login credentials. It might even automatically take suspicious files it finds on your computer and upload them to a database for further analysis. This means your antivirus software could collect and process an awful lot of your personal data if it wanted to. While some antivirus providers are quite conscientious with their users’ data and only use it when absolutely necessary, others are much less scrupulous. From free VPN services to free antivirus, the old adage rings true: if you’re not paying for the service, you’re probably the product. Most modern antivirus products include some sort of browser protection that prevents you from accessing known phishing and malware-hosting websites. However, doing so is easier said than done due to the fact that so much data is now transferred via Hypertext Transfer Protocol Secure (HTTPS). HTTPS is the protocol your web browser uses when communicating with websites. The “S” in HTTPS stands for “secure” and indicates that the data being sent over your connection is encrypted, which protects you against man-in-the-middle attacks and spoofing attempts. Today, 93 percent of all websites opened in Google Chrome are loaded over HTTPS, up from 65 percent in 2015. If you want to know if a website uses HTTPS, simply check the URL or look for a padlock icon in the address bar. The rapid adoption of HTTPS has helped to make the web a more secure place, but it has also introduced an interesting problem for antivirus companies. Normally when you visit an HTTPS website, your browser checks the website’s SSL certificate to verify its authenticity. If everything checks out, a secure connection is established, your website loads, and you can browse away to your heart’s content, secure in the knowledge that the website is legitimate. But there’s just one problem. Because the connection is encrypted, there’s ultimately no way for antivirus software to know if the website you are trying to visit is safe or malicious. Most antivirus products use HTTPS interception to overcome this issue. This involves installing a local proxy server that creates fake SSL certificates. When you visit an HTTPS website, your connection is routed through your antivirus’ proxy server, which creates a new SSL certificate and checks the safety of the site you’re trying to access. If your antivirus software judges the website to be safe, the site loads as normal. If the website is unsafe, the proxy will display a warning in your browser. By redirecting your data through a proxy, your antivirus is decrypting the data you send on encrypted connections – data that is only meant to be visible to you and the HTTPS website. Because your antivirus is faking SSL certificates, there’s no way to be 100 percent certain that the website displayed in your browser is the real deal. In late 2017, Google Project Zero researcher Tavis Ormandy discovered a major bug in Kaspersky’s software. In order to decrypt traffic for inspection, Kaspersky was presenting its own security certificates as a trusted authority, despite the fact that the certificates were only protected with a 32-bit key and could be brute forced within seconds. This meant that all 400 million Kaspersky users were critically vulnerable to attack until the company patched the flaw. Most antivirus products query the safety of a URL server side, which means the company could potentially track your browsing habits if they wanted to. It increases the risk of phishing attacks and man-in-the-middle exploits. As a class, interception products [antivirus solutions that intercept HTTPS] drastically reduce connection security. Most concerningly, 62% of traffic that traverses a network middlebox has reduced security and 58% of middlebox connections have severe vulnerabilities. We investigated popular antivirus and corporate proxies, finding that nearly all reduce connection security and that many introduce vulnerabilities (e.g., fail to validate certificates). While the security community has long known that security products intercept connections, we have largely ignored the issue, believing that only a small fraction of connections are affected. However, we find that interception has become startlingly widespread and with worrying consequences. HPKP is a technology enabling website operators to “remember” the public keys of SSL certificates in browsers, enforcing the use of specific public keys for specific websites. This reduces the risk of MiTM attacks using rogue/non authorized SSL certificates. 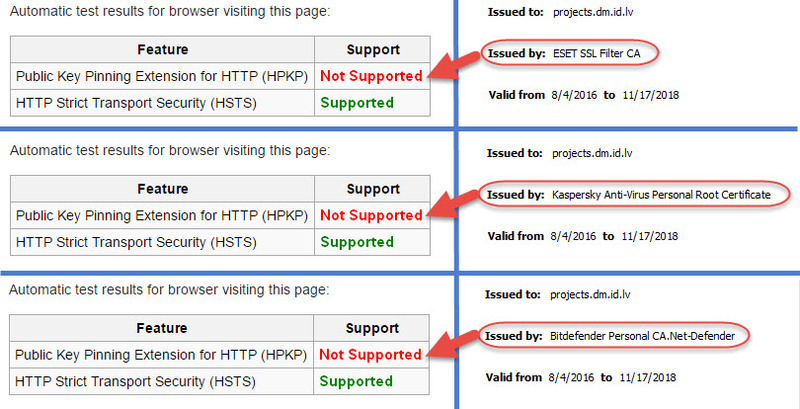 But HTTPS scanning and HPKP can’t work together, therefore if a website has HPKP enabled, when you access it the support for HPKP for that site will be disabled in the browser. Tip: Avoid antivirus software that utilizes HTTPS interception/scanning, or just disable this “feature” within your antivirus. Even if your antivirus doesn’t pose a direct threat to your privacy, it may come bundled with software that does. As the name suggests, potentially unwanted programs, or PUPs for short, are applications that you may not want on your computer for various reasons. While they’re technically not malicious, they usually change the user experience in some way that is undesirable, whether that’s displaying advertisements, switching your default search engine, or hogging system resources. PUPs: bad for your privacy, bad for your system resources. Many free antivirus products come with PUPs such as browser toolbars, adware, and plugins that you may inadvertently allow to be installed while quickly clicking through the installation process. For example, free versions of Avast and Comodo try to install their own Chromium-based web browsers, which you may or may not want on your computer. Meanwhile, AVG AntiVirus Free automatically installs SafePrice, a browser extension that claims to be able to help you find the best prices while shopping online. Unfortunately, it can also read and change all your data on the websites you visit. PUPs aren’t inherently malicious, but they can seriously encroach on your privacy. Some PUPs will track your search history or browser behavior and sell the data to third parties, while others may compromise your system’s security, affect system performance, and hinder productivity. Keep unwanted applications off of your computer by carefully reading installation options during the setup process and only install the software and features that you need. Last but not least, it’s theoretically possible that antivirus software could be leveraged to help government agencies collect information on users. Most security software has very high access privileges and can see everything that’s stored on a computer, which is necessary in order for the software to keep the system to safe. It’s easy to see how this power could be used by nefarious parties to spy on individuals, businesses, and governments. Kaspersky Lab, a Russia-based cybersecurity company whose products account for about 5.5 percent of antivirus software products worldwide, was embroiled in a major privacy scandal a couple of years ago. According to the Washington Post, Kaspersky software used a tool that was primarily for protecting users’ computers, but also could be manipulated to collect information not related to malware. Kaspersky is the only major antivirus company that routes its data through Russian Internet service providers, which are subject to Russia’s surveillance system. In September 2017, the U.S. government banned federal agencies from using Kaspersky Labs software following allegations about cooperation between Kaspersky and Russian intelligence agencies. Shortly after, the FBI began pressuring retailers in the private sector to stop selling Kaspersky products, and the British government issued a warning to government departments about the security risks of using Kaspersky software. Of course, it would be naive to think this issue is limited to Russian software. The United States government, and many other foreign governments, have been caught cooperating with technology companies to further their mass surveillance agenda. Check out the PRISM program to learn about how Big Tech and Big Brother work together to spy on you. In the best case scenario, antivirus companies use your data responsibly to refine their products and provide you with the best malware protection possible. In the worst case scenario, they sell your data to third-party advertisers, install annoying software on your system, and cooperate with government agencies to spy on your personal information. So, how do you sort the best from the rest? Pay for your antivirus software. Most free antivirus products will be far more liberal with your data than premium software as the company ultimately needs to monetize their services in some way. Read installation options: It’s easy to blindly click through “Next” when installing new software. This can result in the installation of browser toolbars, adware, and all sorts of other PUPs, which can encroach on your privacy in various ways. Customize privacy settings. Some antivirus software will allow you to customize privacy settings such as usage statistics, browsing behavior, and whether to upload malicious files for analysis. Adjust these settings to maximize your privacy. Read AV reports. Some independent analysts release reports on how antivirus companies handle your data. Take the time to read these reports and reviews to get a better understanding of a company’s reputation and how it handles privacy matters. It’s important to note that this article isn’t a rallying call to abandon all antivirus software in the name of privacy, because there are some good players out there. Antivirus software is an essential part of modern IT security and plays a critical role in protecting your data against malware, phishing, and a plethora of other digital attacks that pose a real threat to everyday users. While some antivirus providers are invasive and should be avoided, there are still some companies that strive to protect their users’ privacy. Emsisoft, for example, has earned itself a reputation for providing reliable protection without compromising its users’ privacy. So do your homework, weigh up your options carefully and remember that not all antivirus solutions are created equal when it comes to respecting your privacy. 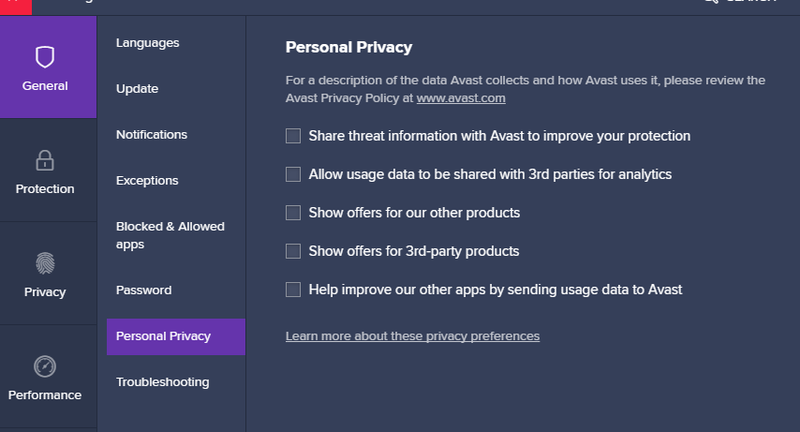 See what Avast is doing to me, are they not enough to collect my data for a moment when I register and buy the product? even though I have un-checked the Personal Privacy list in the application. kolmteist – that’s bad news even after having paid, for them not to honor their own app settings that a user elects for ones own privacy on their device. 1. End users purchase directly from us through our online retail stores or through Google Play. 2. We also allow you to cancel your subscription and request a refund (prorated for the unexpired or unused portion of the Subscription Term) if we provide notice to you that we are amending the End User License Agreement we entered into with you in respect of such subscription and/or Solution (the EULA), and you object to such amendment. – 1 and 2 only give the window of 30 days of the specific dates. I would seek a refund from Avast ‘citing’ what you have said here. If they don’t agree, take it on the chin and look for another A/V soon. *Run any one A/V you’d consider through their trial offered first. **Making contacts is important – refund and/or deal, otherwise how would you know for sure? Not a hope in hell I would use an AV, especially on a mac, there are lots of free options out there that will run full scans (but not actively) such as the CLAMAV engine (Search google for how to set this up in terminal), and products from Objective See. If it is free, then you are likely the product. As Emsisoft found, “Fact: 7 out of 8 tested free antivirus suites bundle with PUPs”. Agree, and it’s not advisable to be without an A/V protection if you don’t understand the harm and/or have a few countermeasures in place (one like system backups). It only takes once, then it’s to late in looking for protection from interacting with all the kinds of web dangers. Then, a question is the A/V assisting law enforcement in anyway, which I see troubling to the trust and confidence model here as then being broken. It’s not ok, if that help was outside of it’s own user base – meaning aka ratting on it’s own user that was served in compliance. The A/V security model in general to a systems interstructure resources still yields a lot of weight in system privileges, and to loose a users trust and confidence – by anyway in volunteering help to law enforcement without being served some legal bases or grounds to comply with them is decisive abuse. Hi Xavier, it seems the general consensus among Linux users is that antivirus is not necessary. In fact, most companies do not offer an AV product for Linux. A lot of AV providers have been rolling out their own VPN’s really. Here is a suggestion for the big VPN players How about including AV service along with their packages that are privacy friendly? Imagine Express VPN doing this. You would be very happy and much more likely to become or stay a customer. That’s a terrible ideal and you must josh yes – for VPN’s or A/V to do so in a combo… Keep them separate by all means : ) for privacy. Are you just seeing if people are paying attention here? You’ve must of missed the part above in the article about A/V’s not being immune to users privacy problems. Besides an A/V’s infringing on users’ privacy, they can be a backdoor to your device data for an whoever entity that leverages them. I hope this is never realized and people don’t support it, as it will lead to more of a continual erosion of online user privacy. What about intel chipsets with backdoors , computace and much more phishy patents u even dont know .. Yes, this topic is a large one. Concerning Android, most Android antivirus apps definitely collect data. I believe Emsisoft only works for Windows. I used Avast but collects way too many data and I send it away. I now temporarily use Kaspersky for now but I don’t think there’s an Android antivirus out there that doesn’t spy you. Any suggestions? Hi BeeBee, Emsisoft does indeed have a Mobile Security product, you’ll need to buy it in combo as the Anti-Malware Home & Mobile. I don’t see any other way to purchase it separately. You can test run it for 30 days also before you decide. • Emsisoft has never modified its software for the purpose of collecting data due to political pressure. • Emsisoft has never modified its software to prevent detection of any malicious software due to political pressure. • Emsisoft has never terminated a customer or taken down content due to political pressure. – Knowing now – that some AV products are established as simply offering the design of an interface, adding a mini-updater, throwing in a couple of Windows functions to simulate continuous protection, sticking an icon in the system tray, wrapping it all up in an installer to sell. Within this AV model type there’s no need in a reason for them to look for new malware – all they need to do is monitor the flow from other public online multi-engine scanners like VirusTotal. There’s no need for them to analyze anything either – they simply set a multi-scanner to “detect” files that other AV vendors have already detected. Detected files by using an MD5 are to make sure there are no false positives. All these ‘would be AV products’ like these are nothing to use or even to having developing their own engine. Before you buy into any AV vendors product note these important facts that AV-Comparatives offers. Then note that “certification” from the AV testing firms are most likely to be different overall. The AV industry puts me off too. I agree with everything you wrote. I ‘ll check with Emsisoft again. No idea they had a mobile app. Thank you again. You and Sven are treasures. Yes, Emsisoft use a “badged” version of Bitdefender’s attempt at an antivirus application, but that is seriously handicapped by the [bogus!] ‘security’ for which Android is famous. Malware which is incorporated in an Android application can be addressed by uninstalling the compromised application, but Android provides more support for malware than for the Android user, or “userland” applications, antivirus and other security applications included. I think Android finally introduced a version of App Ops with version 7, but it is necessary to install the application, and then hunt for the “permissions” listing. Unfortunately, many consumers would not know of this feature. Not quite sufficient to meet standard security requirements. Bitdefender will provide “web protection” for HTTP/HTTPS traffic between Google Chrome and the Internet, but not for HTTP/HTTPS traffic between the Android device and the Internet! Something to do with Android’s sandboxing I suppose, plus application developers tending to be unfit for purpose. It seems that Android will support “web protection” for HTTP/HTTPS traffic between the Android device and the Internet, but most security application developers seem not to have worked that one out yet? As I have yet to get anything better than a consumer-grade cellphone, I am using NetGuard No-root Firewall Pro which allows installing a user’s choice of blocklist. There is at least one other open source VPN, but NetGuard uses Android’s VPN mode only to filter HTTP/HTTPS traffic. No VPN tunnel to a remote server unless the developer’s proprietary modification is accepted. Not quite sure of the post except to tell all Android users they had got something only to loose it. Man, that was a privacy feature preventing a collection in sensitive data of location or address book back in Android 4.3 Jelly Bean. It was since removed by Google as labeled to an accident (experimental purpose). That feature was removed in a following Android 4.4.2 KitKat update. Still in Android 6.0 Marshmallow introduced – App permissions as now granted individually at run-time, not all-or-nothing at install time as in Android Lollipop 5.x and below. – Of course, that’s still no incentive for device manufacturers to update devices to newer Android OS versions after they’re released (especially cheaper ones). Updating an older Android OS version that’s been replaced by a newer device model, especially when they’d rather encourage you to buy their newest model on the latest Android OS anyway. than the offered of 3.0.9 released as of January 7, 2019. Nonetheless it (3.0) mentions it partnered with mobile segment leader Bitdefender to bring you the best mobile protection available incorporated as Emsisoft Mobile Security. Goes on to mention the partnership gives you the best of both worlds; the best mobile protection on the market bundled with our award winning Emsisoft Anti-Malware. That’s why A/V vendors put me off of my full trust. You can always pay and use AdGuard for Android if you’d want to tackle these kind of below things on rooted and unrooted devices – it’s not an antivirus/malware app. “AdGuard for Android provides you with reliable and manageable protection. AdGuard removes all the annoying ads from web pages and applications, blocks loading of dangerous websites from all browsers, and does not allow anyone to track your activities on the Internet. AdGuard stands out against it’s counterparts, as it can work either in HTTP proxy or VPN mode,” blocking throughout the whole Android system. You can completely shut down cellular/WiFi access for any app and just as easily restore it. Bar a particular app or browser from being filtered for whatever reason in one tap. Apps Management module has its own statistics, so you can see how much traffic each app consumes. Thus, you control which apps transmit data. *If your device is rooted, or if you only care about blocking ads in WiFi networks, you can switch AdGuard to proxy mode and then let any other app use the VPN function. AdGuard Cares about your privacy ! They value the privacy of your personal data above anything else. With AdGuard, you will be safe from online trackers and analytics systems that lurk on the web trying to steal your sensitive information. You won’t find AdGuard in the Play Store simply because of Google’s very peculiar policy towards ad blockers, that any app able to block ads across the device is not allowed there. Sure most PEOPLE will access Google Play and rely on Play Protect. Play Protect certainly has its work cut out for it, but that doesn’t mean the chances of downloading an infected app are completely zero. So mobile A/V still means something to some people especially if they’ve ever been infected. That means infections are possible to a mobile device even from ransomware. Others that try to play it safe, only to download apps from the Play Store, sometimes elsewhere of third-party sources too, while keep their security settings enabled. There are those who like to take a walk on the wild side and not do any those things, and then the rooter crowds. VirusTotal for an inspection of any apk’s before installing of warning flags observed. – Especially if not wanting to endow Google with more power over them, their devices and to seeing further into their life. The root crowd most likely has one up on the others I’ve mentioned, they’ve probably installed a custom recovery like (TWRP), and taken periodic manual backup’s of their system. They just need a recent manual backup to fall back to in cleansing out an infection. Others can learn from this guide. thank you for the article. I used no antivirus for a year, but the problem is the online banking. If you don’t use antivirus and the account is compromised then the bank is not in duty. No court will accept the hints on bad antivirus software. So I still using one, ESET which is no longer listed on av-test.org because the company ist not willing to pay for the testing. This shows what normally happens, that only companies listed, if they payed. Interesting things you’ve brought up. Are you referring to a phone or in desktop/laptop use with banks ? In the US banks usually offer phone apps to do banking online. Would you tell us what country a bank requires the use of installed antivirus with banking accounts ? I’ve never herd of that before – in the security of online banking relying on their users having their own AV installed. I mean after all if the bank offers online banking it must have it’s own security of it’s site when you interact with it, most likely takes down your IP, besides entering your password – you must answer security questions – right. As this is the case with me and telling the bank I’m on a shared or public computer – for the reason on a VPN. AV testing is a business with its own economy from AV vendors as it requires investment in infrastructure, office space and salaries. And just like many businesses, there is a correlation between quality and profit. Sometimes companies consciously lower their quality to increase their profits. This is true of the renowned German test lab AV-TEST.ORG and probably why Eset is not participating with av-test lab any longer because without no warning they have modified their certification process. lowered threshold. More so now, that it will rank mostly useless AV vendors taking part in testing where they once knew their level of protection had no chance of getting a certificate before. If everything was ok, then the bank in this case will pay up to 100.000 CHF, but it is your duty to install an antivirus program. It is not the question which one, but to have one installed and updated. I know, for iOS there is no antivirus, so nobody can expect. But for PCs, MACs and so on. I am no friend of this testing labors, I prefer tests from other like c’t (www.heise.de). They do this also from time to time, and it seems more practical. Hello Falkenhayn, I’m only trying to help out. Thanks for replying with a link. I’m not totally in an understanding – but, according to the Swiss site (additional links offered) it seems to talk about increasing their citizens adoption rate in online and mobile banking. A specific bank may say otherwise or lest try to understand this in their own favor and not to the customers benefit effectively. I’d check with a banks officer and get something in print to rest assured. AT THE present it only seems suggested to an option and not mandatory if never being a victim before. Is it more of a money game than a security stance to protect the purchasers of their Anti-virus/malware any more ? I’ve read in order to enhance their security product portfolio, well-established companies in the market are focusing on acquiring small-scale vendors. Before, you could simply rely on the anti-virus product without much awareness of its functions and processes, now you need to investigate it. As everything internet connected is related to the data on your system or your generating using the web. Antivirus vendors have to be compliant with the General Data Protection Regulation. Data protection law in certain jurisdictions differentiates between the “controller” and “processor” of information. In general then, a customer is the controller of Customer Data. As in general, the A/V vendor is the processor of Customer Data and the controller of Other Information related to the Customer account. Some flaws were basic, and should have been caught by the company during it’s code development and review. In some cases, the flaws only allowed an attacker to bypass the antivirus scanners or undermine the integrity of it’s detection systems. But others were far more serious, and would allow an attacker to gain remote-code execution on a machine, some even turned the security software into an attack vector for intruders to seize control of a victim’s system. Unpackers and emulators of anti-virus/malware products have been a huge source of vulnerabilities and will continue to be as these Security vendors will often cut corners. Security software tasked with protecting our critical systems and data shouldn’t also be the biggest vulnerability and liability present in your system. Ormandy has criticized the antivirus industry for years for failing to secure its own software, and for failing to open their code to security professionals to audits for vulnerabilities. As Symantec use of the same core engine across their entire product line, all Symantec and Norton branded antivirus products are affected by these vulnerabilities. That’s 17 Symantec enterprise products in all, and eight Norton consumer and small-business products. Exploiting Android devices ecosystem, two major TEE “Trusted Execution Environment” implementations exist – Qualcomm’s QSEE and Trustonic’s Kinibi (formerly <t-base). I’m not the best knowing for antivirus. What do you recommend for Anti-Virus Sven? I’m using Free Avast Anti-Virus version. Hey Jack, as a general rule of thumb I don’t spend much time examining/recommending AV software. But strictly from a privacy perspective, it looks like Emsisoft is among the best available, and I would generally recommend against any free AV solution due to privacy concerns. Great article,thanks for your articles,i don’t imagine how dangerous it’s internet these days, hope you continue sharing your knowlegde with us. please can you do a review about this vpn, “vpntunnel” ,it is trustworthy ? Hi Axel, I’ve not looked into it yet, but will hopefully get time for more reviews later in the year. Hi Taylor, I like your site and clear and detail analysis, followed by clear and impartial suggestion. One thing I am not still clear, if I install a top rated VPN, even after, do I need to install anti-virus for my privacy and protection? Does VPN do any anti-virus job? Would appreciate if you could give your expert opinion on this. Hi Mike, a VPN fulfills a different purpose from antivirus – see the main VPN guide for more of an explanation. There are some VPNs that block malicious websites – see for example NordVPN with the CyberSec feature or Perfect Privacy with the TrackStop filter, but these still don’t offer the full system-wide protection of an antivirus suite. So to answer your question, a VPN will not replace the need for antivirus. It effectively means that they’ve given over their entire database for the US government to comb through until they find what they want. Question is: How much has the US government retained? Can we honestly think that they only took what they needed & didn’t keep everything they harvested in case they need it for “future reference” to solve crimes? Thanks for the tip, Richard. I saw this article appear last night and I do agree with the most of it. The only thing that raised a question was related to Emsisoft and Bitdefender specifically. Hey, with that 2014 report Emsisoft was shown as Austria local, today it’s based in New Zealand. “Also, that AV data transmission report is dated in 2014, thus 5 years ago” – Makes me wonder why the Anti-Virus Comparative guys hasn’t kept it updated / money changed hands, AV vendors protested, Anti-Virus Comparative changed it’s management team ? The source goes on to say – I didn’t look carefully at Bitdefender Internet Security, because users can’t opt out of uploading “suspicious” files. Of the products that I did research, only AhnLab and Emsisoft assert that they won’t share user information with third parties. Even so, I didn’t find any evidence that any anti-malware provider had compromised its users. Until now, that is. It uploaded nothing during scans, with Anti-Malware Network off or on. Bottom line, AhnLab and Emsisoft seem to be the best options from a privacy perspective. Both clearly state that they won’t share user information with third parties, without exception. @In limited cases we share information with others, but we are not responsible for their data handling practices. Emsisoft will solely share and disclose Customer Data in accordance with Customer’s instructions, including any applicable terms in the Customer Agreement and Customer’s use of Services functionality, and in compliance with applicable law and legal process. @We only share data if you allow us to do so. @We don’t like doing so, but if a court rules that we have to provide specific user data to them, we have to abide. Emsisoft may share Other Information with third parties when we have consent to do so. @If you specifically allow us to share your data, we may do so. As far as I can see BITDEFENDER association with Emsisoft is as follows. Emsisoft currently uses third party Subprocessors to provide infrastructure services. Prior to engaging any third party Subprocessor, Emsisoft performs diligence to evaluate their privacy, security and confidentiality practices, and executes an agreement implementing its applicable obligations. Subprocessing Activities: Service Provider. We send them your name and email address for Emsisoft Mobile Security license activation. Bitdefender did not admit on compromising it’s user, it admitted advising EC3 during Hansa investigation, those are 2 totally separate things. Hey George, I can’t say for certain with Mac OS as I don’t spend much time looking at AV software, other than this article to examine the privacy aspects. Very good article! Thank you Sven! Thank you also Hard Sell for the useful and informative comment! I am curious should it be a problem/an issue if a community like EFF (being very recognizable) publicly requests either AV producers to consider an option to start being more transparent in terms of data collection by initially proposing a comprehensive guide and a list of requirement data to be provided? If this request is not efficient, then do you think that it would be a great idea to do the following. Assume EFF start a campaign with the support of the major NGOs and along with the public defenders of transparency and privacy rights, and major IT firms having interest in this campaign, by organizing some kind of League of Endorsed Transparent AV Solutions Providers. This league should simply list all AV products, who comply with the proposed data transparency publication. I could assume that if a AV firm wants to attract privacy respecting clients, then it would opt-for similar League. It was just a naive idea. Hi Vector, interesting idea, basically a certification that antivirus software meets basic privacy protections. That’s a mighty nice thing to say about my research, thank you. I don’t think your ideal is naive, then with the tweak Sven mentions to go from the campaign, or endorsement model to a certification class rating system for all A/V firms. That class or classes ratings system must include transparency of all user/device sensitive data and metadata collected and transmitted and to defining this data encrypted retention, storage duration in a standard across the board policy. The part of this rating system should addresses the adequate certification of their SSL/ROOT certificates to properly analyze HTTPS traffic. Quite the eye-opener for your readers to know and understand somethings, and very nicely done on your part – Sir. If I may address a few things by your numbers 1-4 to inherent risk as crucially observant perceptions. It’s absolutely true that paying for software is in no way a guarantee that your data won’t be collected and/or shared or sold on to others. Clearly, antivirus manufacturers have to comply with the laws of the countries in which they are established, however, this should be the only reason for providing user data to third parties. Okay, so it is possible that intelligence/law-enforcement agencies in some countries prohibit vendors (security or otherwise) from revealing any cooperation with them. – Good programs should not only disclose that sensitive data may be collected and transmitted but, also offer an opt-out option for users. – Better would be to make those features a requirement of opting-in from the start, as well to defining the products data retention, storage policies (time duration before deletion – if ever) of their customers data obtained. To guard against phishing and malware-hosting websites – look to an ad blocker like the installed version of AdGuard. It’s been advised to just disable the HTTPS scanning feature of your antivirus. This functionality in anti-malware’s contradicts the very idea of TLS/HTTPS point-to-point security and gives the users a false sense of security from many security products. Because traffic is encrypted, it’s not normally accessible for security inspections, antivirus products install their own root certificates on computers to be able to analyze HTTPS traffic. 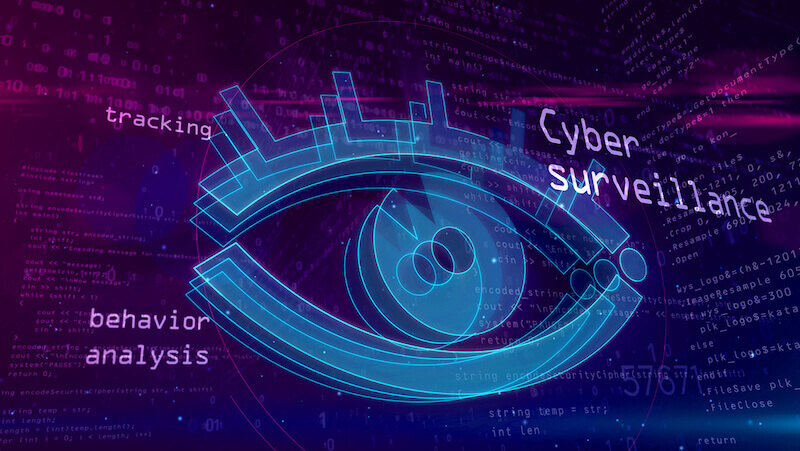 Not only do security software’s reduce the connection security, but also introduce vulnerabilities such as failure to validate certificates properly. So instead of helping the user stay safe, this opens the gate to vulnerabilities, in a study shown. Inadvertently installing bundle programs – browser toolbars, adware, and plugins or other (PUPs). It’s more than an annoyance and disruption of your regular running system. It’s a privacy issue as they can then show you ads, monetize or sell your search and/or browser data. Anti-virus/malware vendor programs, what else has such a free reign to every nook and cranny of your system with an advance system level over everything else. Others in this lineup are the online scanners of the most popular anti-virus/malware programs where they offer free scans to check out your PC. – Remember, in either case you’ve agreed to their ‘end user license agreement’ so what data did you just give away and for how long ? If it was a free online scan – did it plant a bug, ID, tag of some sort to label your system for future tracking ? WHERE DOES MALWARE COME FROM ? Just a thought, if some Anti-virus/malware vendors go to such lengths to package (PUPs), wouldn’t it also make sense that they release ‘malware’ in the wild to sell their products to defeat it ? – Government agencies in countries around the world have been known to plant cookies and even malware on unsuspecting users in order to record data. Web site operators and search engines use many techniques to try and follow you across the internet. You must be aware of all of these methods and guard against them as well being informed by the Restore Privacy site. If an Anti-virus/malware vendors jurisdiction play a roll and it’s continued concept of users privacy plays an important rule for you. You can’t do much better than Emsisoft’s security and privacy practices as they’re always trying to get the word out about both how it benefits you. Thanks for the feedback, as always, Hard Sell.